Southland Academy first graders eagerly read books donated by the Maddens. 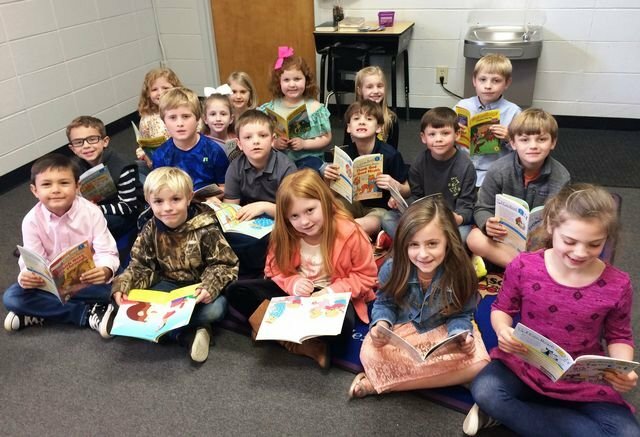 These Southland Academy First Graders are enjoying an assortment of Accelerated Reader books that were generously donated by Mrs.Traci Madden, mother of Southland 6th grade student, Daniel Madden. Miss Traci was "Spring Cleaning" and graciously thought that our young Raiders would enjoy the books. Thank you, Miss Traci and Daniel, for sharing your books. What a wonderful idea!